There are only 3 days left to file taxes and you may have to file for extension to get some more time to organize all the necessary documents. 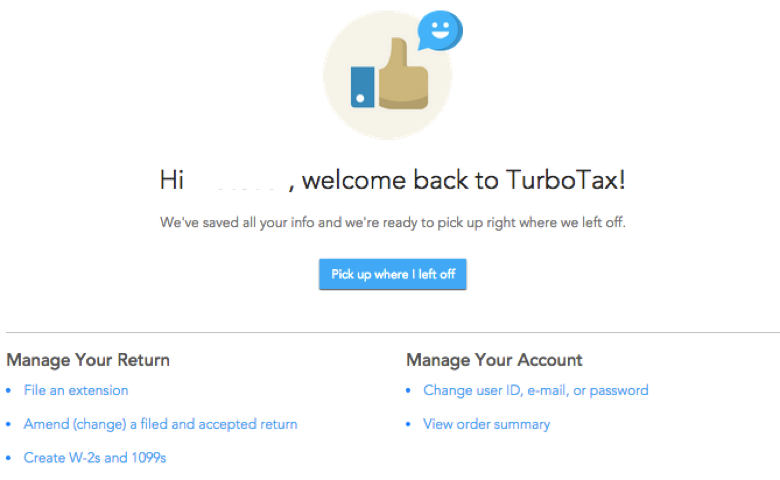 Just click on that option (under Manage Your Return) and TurboTax will initiate the process. It shouldn’t take more than few minutes to complete, assuming you have the basic personal and tax information handy. The last step calls for a review of the entered information and creation of a 5-digit number for you and you spouse so you can efile. 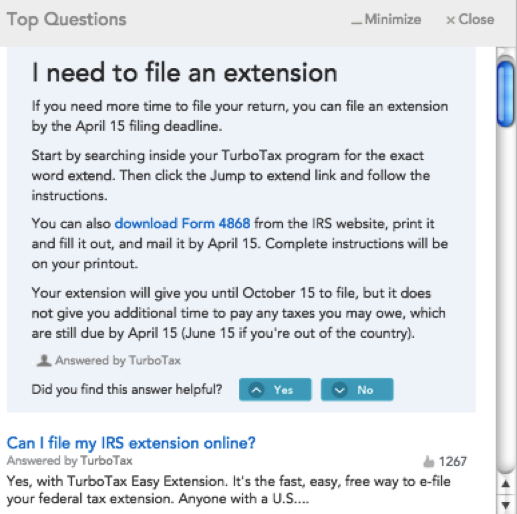 The first answer outlines the extension steps but the second one, the recommended answer, has a link to TurboTax Easy Extension. Once you click it, you will go through the steps outlined above. By filing for extension you can avoid late filing fees but may be charged interest on the amount you owe the IRS. 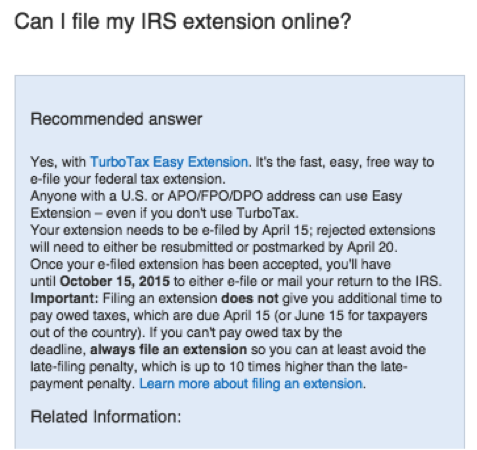 If you expect a refund and file for extension, there aren’t any financial penalties. 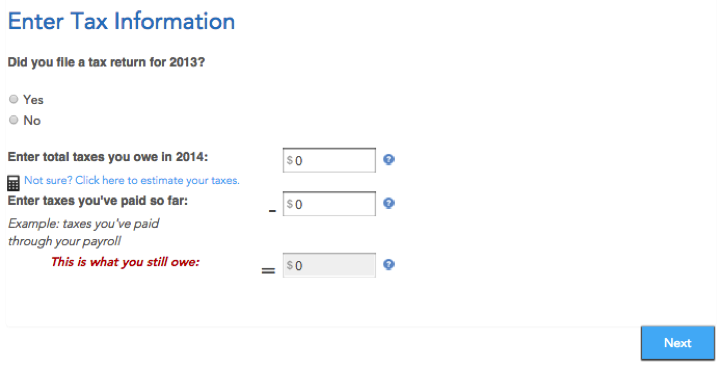 The extension you receive is to file taxes but a payment is still due on April 15th.